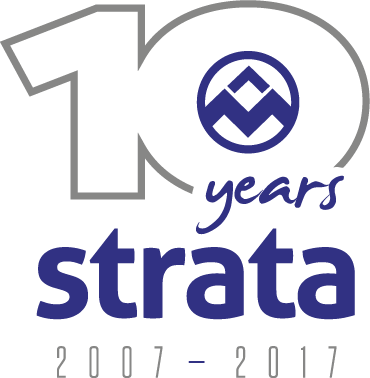 2017 is an important landmark for Strata Construction Group, as we are celebrating 10 years of business. Starting out in 2007, Strata has continued to grow and excel in providing a range of services for the built environment. This includes Construction, Planned and Reactive Maintenance, Commercial fit out, Refurbishment and Storage and Logistics. Case studies for a number of our projects can be seen elsewhere on this website. Our objective over this time has been to manage and deliver projects that are defect free, on time and to budget. Integral to this has been the relationships and partnerships we have built with clients, consultants and suppliers; our commitment to the competence, development, professionalism and health and safety of our employees; and, the continued monitoring and analysing of performance to identify process improvements. We are confident that through our experience and reliability, together with a proven aptitude for responding to the changing needs and requirements of the construction industry, we can continue to fulfil on our clients’ requirements and achieve high levels of client satisfaction. Whatever the challenges, we will remain committed to our values of Quality, Service and Collaboration and look forward to the next 10 years.